NJB Article and Source Repository: What If Muslim Immigrants Don’t Want to Be “Like Us”? By Leon Hadar. What If Muslim Immigrants Don’t Want to Be “Like Us”? By Leon Hadar. 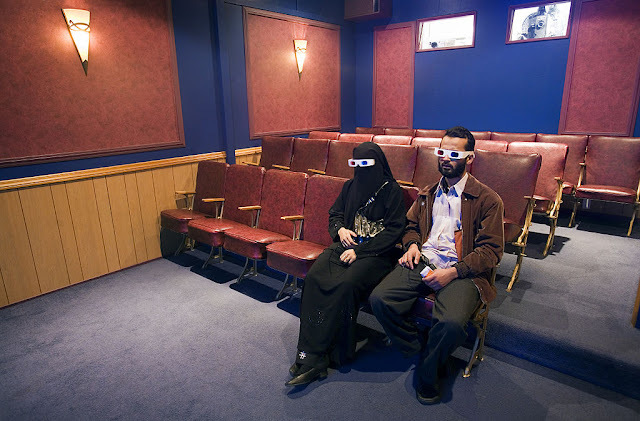 A Muslim couple sitting in a private screening room and wearing 3-D goggles. Auckland, New Zealand. Wikimedia/Jorge Royan. What If Muslim Immigrants Don’t Want to Be “Like Us”? By Leon Hadar. The National Interest, September 25, 2016. Muslim immigrants to the West are becoming less assimilated, not more.